The Secretary for Commerce and Economic Development, Mr Edward Yau, met with officials and representatives of the National Development and Reform Commission (NDRC), the Hong Kong and Macao Affairs Office (HKMAO) of the State Council and the China Post Group in Beijing today (March 29), concluding his two-day visit to Beijing. Mr Yau met with the Deputy Secretary General and Director General of International Co-operation Department of the NDRC, Mr Su Wei, to discuss matters relating to mutual co-operation under the Arrangement between the National Development and Reform Commission and the Government of the Hong Kong Special Administrative Region (HKSAR) for Advancing Hong Kong's Full Participation in and Contribution to the Belt and Road Initiative. Mr Yau expressed his gratitude to the NDRC for its continued support on Hong Kong's work in taking forward the Belt and Road Initiative. He said the HKSAR Government will continue to implement policies and measures to seize the opportunities brought about by the Belt and Road Initiative. Mr Yau then met with the Deputy Director of the HKMAO, Mr Huang Liuzhuan. He thanked the HKMAO for supporting Hong Kong's participation in the Belt and Road Initiative and assisting the HKSAR Government in organising the Seminar on "Strategies and Opportunities under the Belt and Road Initiative - Leveraging Hong Kong's Advantages, Meeting the Country's Needs" in Beijing in February. 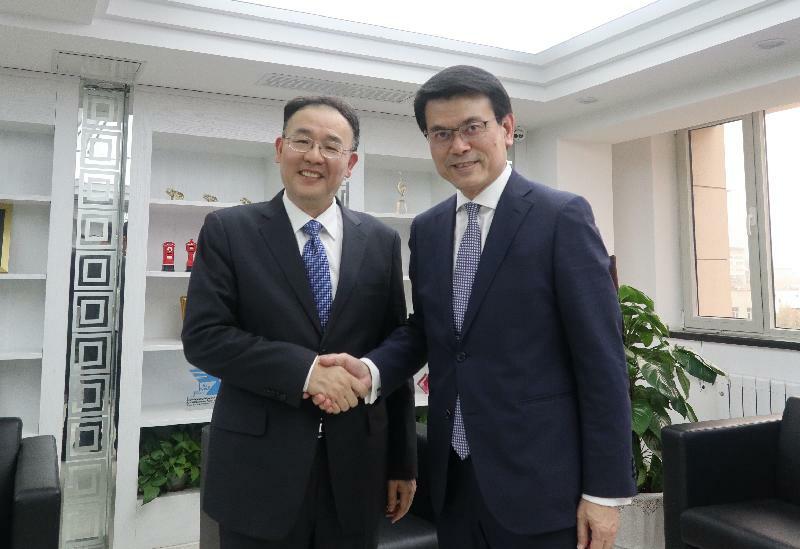 Mr Yau also called on the State Post Bureau yesterday (March 28) and the China Post Group today, meeting with the Director General of the State Post Bureau, Mr Ma Junsheng, and the President of the China Post Group, Mr Li Guohua, to discuss further collaboration. The Postmaster General, Mr Gordon Leung, also attended the meetings. Mr Yau said Hong Kong is well placed to complement the country's development strategies through the close linkage of Hong Kong's airport and ports with the world. As e-commerce is burgeoning in the Mainland, the number of mail items from the Mainland to overseas through the Air Mail Centre of Hongkong Post is on the rise. There is much room for collaboration in e-commerce between Hong Kong and the Mainland.